It wasn’t until 1973 that we visited Jupiter. Now I have a detailed image of the swirling eddies of the planet as my phone background. 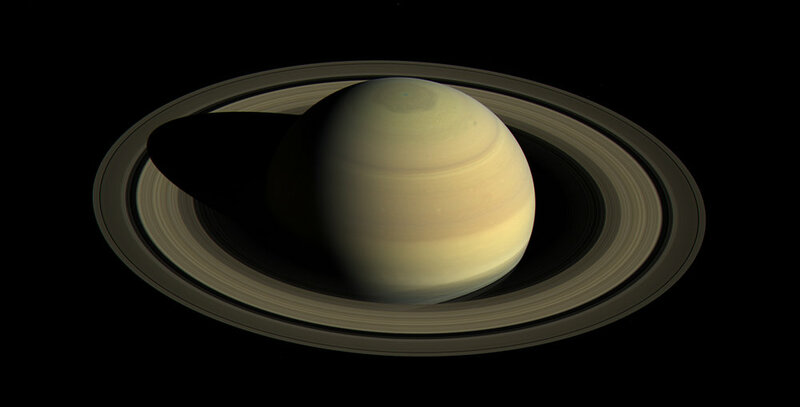 We didn’t reach Saturn until 1979 with Pioneer 11. Uranus and Neptune were first seen in vague detail in 1986 and 1989 with Voyager 2 . And Pluto? Well Pluto finally showed its heart to us in 2015. The outer solar system has been an elusive area of our solar system for most of human existence. It still continues to be elusive and full of secrets even as we unlocked new information from each mission we send out. Every time we answers some questions though, even more are added to the list. It takes a lot of energy, time and dedication to make our way to the outer regions of our solar system, so that is one reason we have had so few missions to these places. With plenty of successes in the few missions that we have done though, many more outer solar system missions are likely to be on deck. As well, missions like Cassini or Juno have showed us that maybe of more interest to us are the many moons that surround the giant planets. Jupiter, Roman king of the gods. The name suits the fifth planet from the Sun for more than one reason. Jupiter is our largest planet and is classified as a gas giant. Because of its behemoth size, Jupiter serves the smaller, inner planets by using its gravitational influence to keep asteroids and comets away from Earth and the other terrestrial planets. It also plays host to 67 moons, four of which are the famous Galilean moons-Io, Europa, Ganymede, and Callisto. 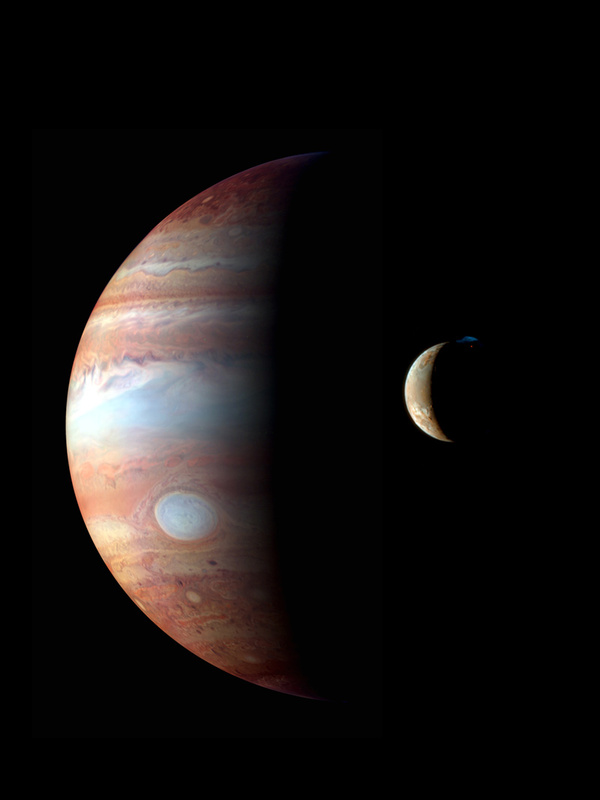 Jupiter’s large mass acts to make some of the moons geologically active, like the moon Io, which is the most volcanically active body in our solar system (Solar System Exploration: Jupiter). Our solar system’s largest planet has only been visited by eight probes, most of them flybys. Pioneer 10 was the first to visit Jupiter, but Voyager 1 and 2 were the first to get some observations that lead to new insights about the planet such as the discovery of it’s ring system, more moons, and the geologic activity of Io (Solar System Exploration: Jupiter). In 2016, the Juno spacecraft, named after the mythological wife of Jupiter, arrived at the gas giant to beginning its in-depth study of the planet and its many moons. From the two years that Juno has been sending back images and data on the Jupiter system, we have learned a lot. Information about Jupiter’s auroras, swirling storm and dynamic atmosphere, and the active environments of the Galilean moons are just a few highlights. Because of the work done on the Juno mission, in the 2020’s a spacecraft called the Europa Clipper will be sent to study the titular moon to see if the ocean under the icy moon could be a possible home to life (Mission to Europa: Europa Clipper). Once we get past Saturn, a trend begins to emerge. Moving from the Sun outward, up to this point each planet has been visited by at least two spacecrafts. But now we are in the farthest outskirts of our solar system. Uranus has only had one brief flyby, which was from the Voyager 2 spacecraft in 1986. This was the first and only time that we have gotten an up close look at Uranus. From the visit, we learned about Uranus’ faint ring system and that the planet rotates on its side with an east-to-west rotation. Unlike Jupiter and Saturn, Uranus is classified as an ice giant since its atmosphere mostly made up of hydrogen, helium, and methane but its core is made up of condensed, icy water, methane, and ammonia. Uranus is also a host to 27 moons (Solar System Exploration: Uranus). Being the farthest planet in our solar system, Neptune doesn’t get many visitors. Since the discover of the ice giant in 1846, we have only ever sent one spacecraft, Voyager 2, to get a closer look at Neptune. Even though it doesn’t get many visitors, Neptune is kept company by its thirteen moons and is about four times larger than Earth. It is known to be the windiest planet since windspeeds can clock in at about 1,200 miles per hour. With that kind of speed, it makes sense that a large vortex (possible storm) has been observed on the planet for a long time. There is much we still don’t know about this Neptune because of its distance (Solar System Exploration: Uranus). Though Pluto no longer falls under the main planet status, it is still a valuable and interesting part of our solar system. It first joined the ranks of planethood in 1930 when it was discovered by Clyde Tombaugh. It is a very small body that is made out of rock and ice. Pluto has five moons. The largest out of the group is Charon, which is so similar to Pluto that instead of Charon orbiting Pluto, they act almost as binary planets orbiting one another. We did not know much about this ninth “planet” for a while, but in 2015 the spacecraft New Horizons arrived at Pluto and conducted observations for six months. Even though Pluto is now a dwarf planet, that does not mean that it has no interest to us. In fact, this demotion in planet status has almost encouraged scientists to study it more. New Horizons has been the first and only mission to Pluto and its moons. Pluto failed to meet the third requirement and was instead defined as a dwarf planet. To be a dwarf planet, only the first two criteria need to be true. Since then, there have been many bodies in our solar system identified as belonging to this same group. For these objects and others that are not able to fit into even these categories, we collectively call them Trans-Neptunian Objects, or TNOs. It is a way for astronomers to refer to the many objects we have found orbiting beyond our eight main planets. There are approximately 70,000 TNOs in our solar system (Small Bodies: Profile).